So, I must apologize for the significant gap between posts. The life of a graduate student is always unpredictable and unfortunately last week I was sick with flu-like symptoms. I guess I should be grateful that classes were canceled because of Storm Juno and I didn’t miss anything, but I was too miserable to even enjoy bingeing on Netflix. Thankfully, not too long after my boyfriend’s and mine two year anniversary, I started feeling better and now I am fully prepared for whatever Mother Nature is prepared to throw at us this upcoming weekend. Being stuck indoors has really burnt me out on TV, so it looks like the next few days will be chock full of writing manuscripts, reading articles, and trolling through heaps of data (and maybe another post or two). For those curious few, if you’re wondering what a master gift-er such as myself gives to those I love, for our two year anniversary I gave my boyfriend a hand-written cookbook full of all the recipes we’ve cooked together. I had even gotten in touch with a few of our favorite restaurants, but they were unwilling to share their recipes with me (bummer). For a personal touch, I found a Star Wars Moleskine notebook to write all of the recipes in. As a gift from him, he signed us up for dance lessons so I won’t keep tripping over his feet as he twirls me around the kitchen. When I was little, I used to spend hours in my playroom playing with my Barbie Dreamhouse, Polly Pocket, and Melanie’s Mall. I could lose myself in the imaginary plot line of Melanie and her friends, changing their outfits from workout clothes to wedding dresses. Packed away somewhere is a giant Tupperware container filled with little plastic heels and tiny scraps of clothing, everything that made playing with Barbie or Melanie so much fun. Even as a young girl I absolutely loved things, extras and knick-knacks to help make my imaginary storyline more real. Great Barbie-themed party favors can also do that while making sure each guest has everything she’d need to survive a wild Vegas Bachelorette. 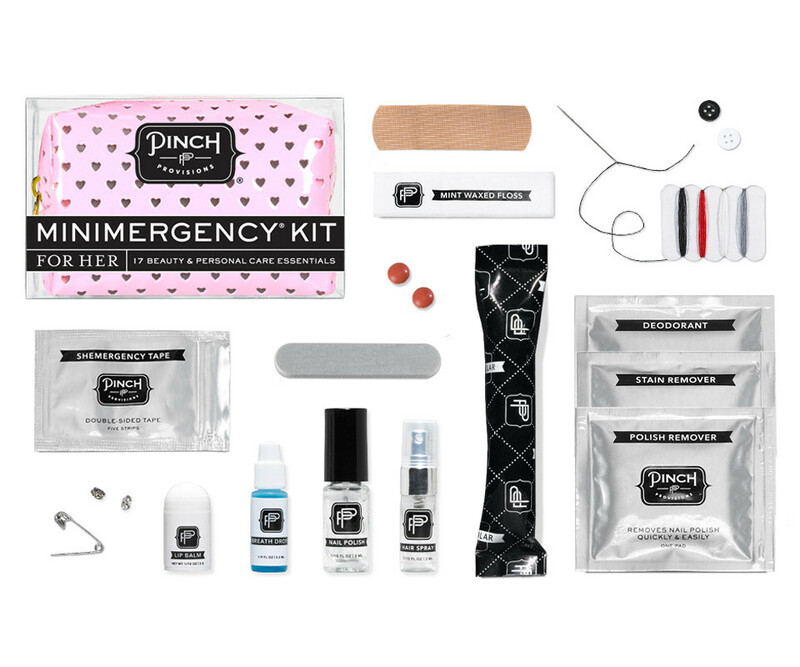 To survive the weekend, each guest is going to need one of Pinch Provision’s Mini-Mergency Kit’s. 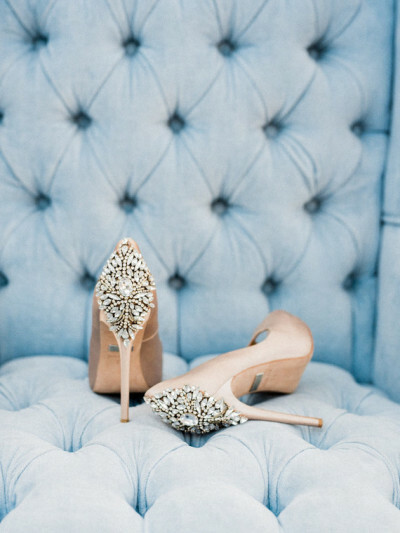 They’re equipped with literally everything one might need to survive a hangover or to keep a manicure looking fresh. All of the supplies are packaged into really cute heart-stamped pouchs, offered in two different shades of pink. Of course, don’t forget to order one specially themed for the bride, which includes extra wedding bands for the big day. The only thing missing from Pinch Provision’s Mini-Mergency Kits is something sweet to snack on when you get the midnight munchies after a long night at the bar. One thing Vegas is famous for is M&M World, located next to New York, New York. 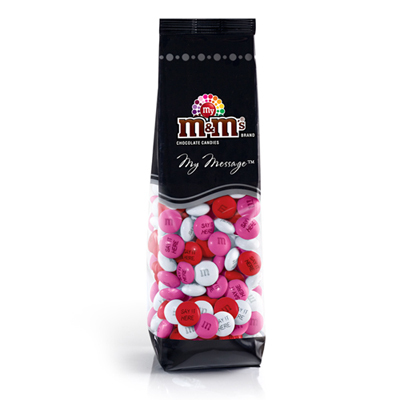 Even if you don’t make time to see the wall of M&M’s in every color imaginable, give each guest a bag of personalized M&M’s. 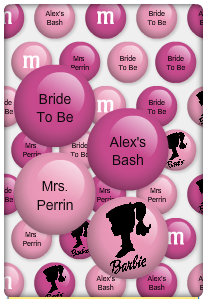 For a Barbie Bachelorette, print the Barbie logo, Future Mrs. Bride To Be, or A’s Bash onto different shades of pink M&M’s. The candies can be ordered in pre-packaged 7 oz. bags, but a better idea is to order the 2 pound bag and then distribute the candies into personalized Barbie coffee mugs. 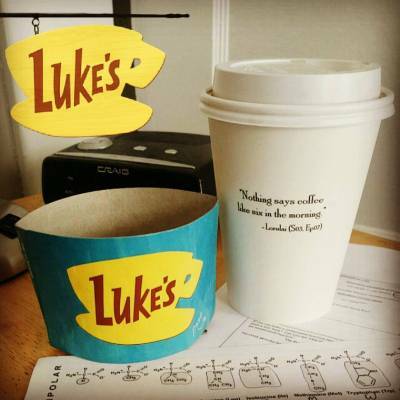 My room mate has a gazillion un-matching coffee mugs, each with their own story. They make my four polka dot Corelle mugs that I’ve had since my first year of college look pretty boring in comparison. I would love to add this glittery Barbie mug to my collection, because what day shouldn’t start off with a little sparkle? 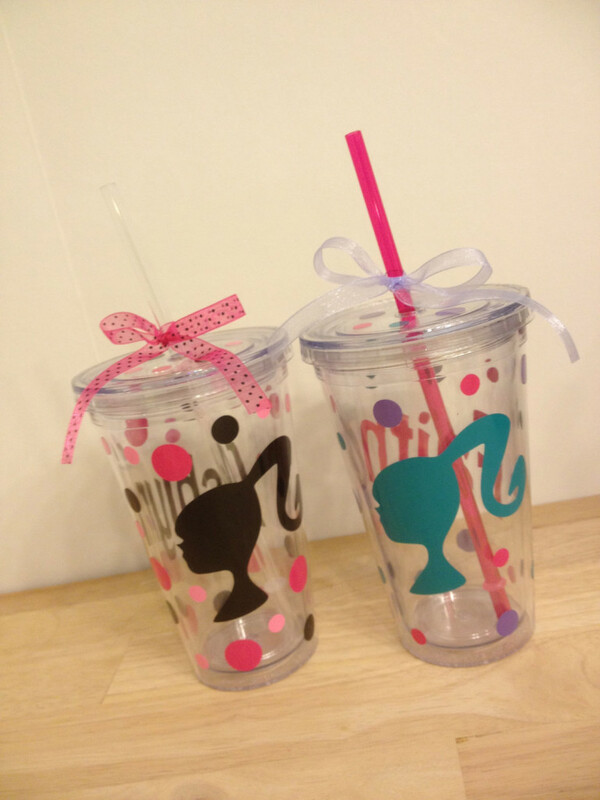 To keep the candies from spilling out, the mugs should be wrapped with some pink cellophane and tied with a glittery ribbon. An alternative option would be to order personalized cold beverage tumblers, that conveniently come with a lid to prevent the M&M’s from spilling out. To top off the party favors, give each girl her own Fashion Barbie. Throughout the weekend they can take photos of their Barbie with her feet in the sand or getting tipsy on a yummy pink drink. Ask the bridesmaids to chip in a little extra to give the Bride a special collectible Barbie doll, such as this one in a traditional dress designed by Vera Wang. 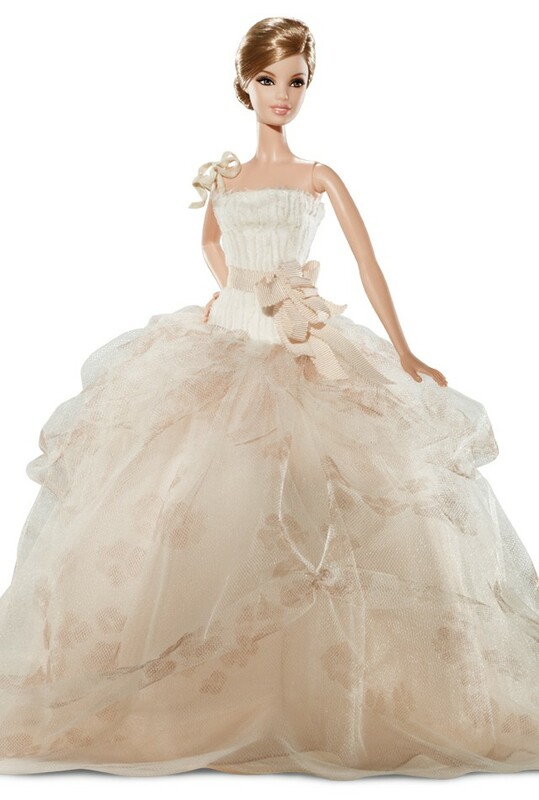 There’s all sorts of different Bridal Barbie’s on Amazon, dressed in different dress styles and over a range of budgets. Be sure to check out the favor’s I prepared for Caitlyn’s Last Fling Before the Ring for even more ideas! Also, check out my other Barbie Bachelorette posts for details about t-shirts, invitations, and decorations.